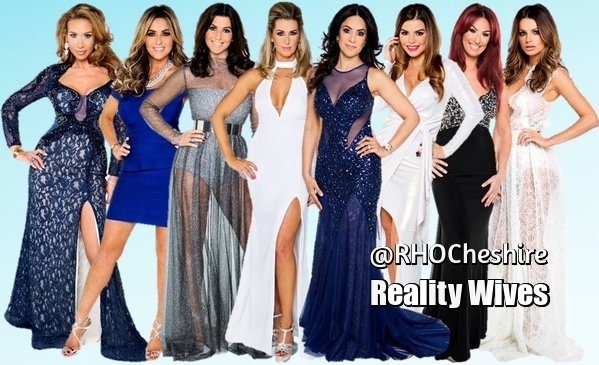 Season 4 of ITVBe’s hit reality show, the Real Housewives Of Cheshire has started filming. Hurray! Everyone will be back from season 3 – Ampika Pickston, Dawn, Ward, Lauren Simon, Leanne Brown, Tanya Bardsley, Stacey Forsey, Seema Malhotra and Missé Beqiri. What I want to know is, where on earth is Magali Gorré, why isn’t she back? I missed her last season, where most of you realized Magali wasn’t an issue after she called out Dawn on her two faced and bitter self. Stacey is lovely and sweet, but watching her is like watching paint dry. Leanne could also leave – she has no substance, she is either running after Dawn or right up under Ampika’s armpit – looking for anyone’s approval. The rest of the ladies can hold their own, because we want a balance of drama, family and entertainment. What are your thoughts? Post your comments below. Who Should NOT Return To The Real Housewives Of Cheshire?